Thomas Eshelman was selected the Readers’ Poll 19th prospect. He received 80 of 409 votes (19.6%). It was a close race with Malquin Canelo (63), Ben Lively (51), and Nick Pivetta (46), each receiving over 11% of the votes cast. All but two of the players listed on the poll received at least one vote (Garcia and Paulino). Five write-in votes were cast (K. Martin, Z. Green, Moore, Walding, and Domonic Brown?). The Phillies acquired Eshelman from the Astros as part of the Ken Giles trade. The trade was Matt Klentak’s first big move since taking over as the Phillies General Manager. Giles and promising, young shortstop Jonathan Arauz were sent to Houston in exchange for Eshelman, fellow RHPs Vincent Velasquez, Mark Appel, Harold Arauz, and LHP Brett Oberholtzer. Eshelman went undrafted in 2014, but was selected after his junior year by the Astros in the second round of the 2015 Amateur Draft, 46th overall. He pitched his collegiate ball at Cal State Fullerton. Eshelman signed on July 1, 2015 and made his debut in the GCL on August 10th. He was promoted to Full Season A ball on August 11th. He is expected to be in the starting rotation in Clearwater this summer. He made 2 starts at each level and pitched a total of 10.1 innings, a very small sample. 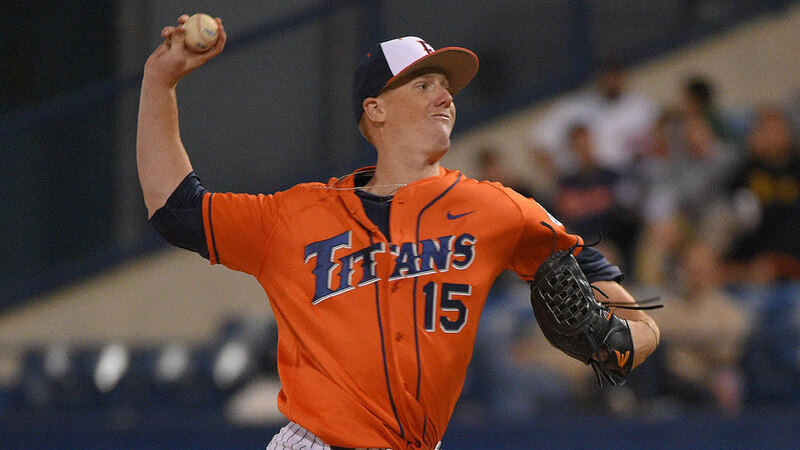 Eshelman displayed extraordinary command at Cal State. He began his collegiate career by working 63.1 innings before issuing a walk. He finished the season with 3 walks in 115.2 innings. In 2015, Eshelman went 8-5, posted a 1.58 ERA, with 139 K (4th in the country), and 4 BB (19.86 K/BB, best in country for third consecutive year). He was profiled in Sports Illustrated in May of 2015. Next up is your selection for #20. I like Tom Windle here. I think he will continue to get better as he gets more experience as a reliever. I can see him developing into a solid setup man. Now come the most important questions? Would Jonathan Arauz have been slotted before the 20th pick… if we still had ’em? And the most important question is, Why aren’t there any men in a Viagra commercial? I like Arauz. I would have ranked him right around here. So much upside but still so far away. Body really needs to develop. “Body really needs to develop” Is that in response to the Arauz question or the Viagara question? Jonathan Arauz would have been #11 or #12 on my list, if not traded. I liked Arauz a lot as a PHillies prospect and was sorry to lose him, although we got a good return in the trade. I think he has a solid chance to be an MLB starting shortstop. He had a very good 2015 and the scouting reports are solid. Partly due to proximity, I ranked him below Canelo, whom I am voting for in this round. I liked Arauz too, but after seeing him a couple times last year it seemed he would wind up at second- not short. More instincts then tools. Not sure if the bat would profile at second. I would have him a little further down the list. I was looking down the list of guys still on the poll and some guys who aren’t yet on the poll — and probably won’t be added. There’s a soon to be 23 y/o who really did have a breakout season last year. He played at CLW and Reading and with the bat showed he could play in AA. He played 3 infield positions, none of them spectacularly, but he played them. This coming year will be his 6th year in the Phillies organization and has seemed to be an org filler in past seasons. That guy is Angelo Mora. Is his .327/.411/.531 with a .942 OPS in AA (A+ stats weren’t bad either) a short season mirage or has something clicked and he’s ready to fight for his spot in the Phillies infield? I don’t have him in my top 30 yet but how can I leave him off? Mora is a great name Bellman. I have him at 25 actually. I saw him play live quite a bit last year and walked away with a few thoughts. He has a real quick bat, he uses the whole field and runs very well. If last season truly was a corner turned for him things will be interesting with their 2B depth. @bellman – Mora has a good 2015 season but this will not elevate his status in the farm. Mora is a classic utility player — no loud tools but flexible enough to play multiple positions. Most teams have a lot of this type of players in their farm – and for the Phils, Mora is probably grouped together with Herlis Rodriguez, Andrew Pullin, Drew Stackie and some young guys in lower levels. This type of profile limits Mora’s value as a top prospect, especially for a farm like Phillies that started to get deep. Canelo separated himself by playing a premium defensive position and starting to show results with his bat. Gamboa can follow Canelo if he starts to hit, otherwise, he will be part of these so called Utility players that lingers in most farm systems. Herlis Rodriguez had 22 outfield Asst paying RF in Lakewwod. I have him right behind Tocci and closing fast as a center fielder. I more good season like last season in Clearwater people will take notice . I went Arano I have him at 20 on my list. he’ll be 21 starting at Reading most likely. Scouts love his command and a real nice 3 pitch mix. He will probably need to improve his conditioning and hopefully add some more Velo to maintain his starter status. Having said that his FB sits 91-92 and shows a lot of life. he has a real solid ground ball rate too. If you’re all horned up over Eshelman then you should of had Arano higher as they are basically the same pitcher with Arano having more pro experience and at least completing A+. Eshleman has a wider floor than Arano. That’s why I have him over Arano. DMAR…I like Arano also. I like the fact at his age and the level he is at , that is a plus for him. And in Mexico this winter, primarily in a relief role, he was pretty good. He is my breakout guy for ’16. April 1 can’t come soon enough I can’t wait to get these kids back on the field. I was big on Arano last year but the biggest question for Arano right now is can he go multiple times through a line-up. He struggled with that last year. If he can’t he is only a middle reliever unless his stuff really ticks up in the bullpen. I just can’t go for middle relievers yet. So no vote for Windle either. Went Lively over Windle and Canelo. I still think he can be a SP. I think I’m going to be voting for Pivetta for a few more rounds. I see a relatively high ceiling, with enough raw stuff to be a back-end bullpen guy if things don’t pan out. But I can’t argue with Canelo, Lively, Tirado, Arano. Or even Ortiz. Those guys are all in the same orbit for me. One that I don’t know what to do with is Grullon. Catchers seem especially hard to get a handle on. I agree with you on Grullon. I really like his upside and the fact he could be another Ruiz at some point. Defense oriented first, then plate skills later. Here is a June scouting report on him that is not as glowing on him at the plate….but then in July and August of 2015 his bat really picked up. I suspect, CLW for him this year and his bud could open. I have it as Arano 20 Tirado 21 Pivetta 22 Grullon 23 Canelo 24 but the one I am really uneasy about is Grullon and that is soley based on the hit tool. Having said that he has a lot of time to work on things at the plate and being only 20 means he has to stay in the conversation with his positional value. Good thoughts on Grullon. It was interesting to read that report–look at the ghastly ratings of his bat and power, but they still see him as a potential major league regular. It’s crazy how low the bar is offensively for catchers. Gee, sounds like Logan Moore and look where he is. No chance Grullon gets to the majors with that analysis. I’d like to think he has a chance. I have him in my top 20 I think he has a chance to be a gloden glove winner. That was pretty much the story on him coming into last season, but then he went out and was one of the best hitters in the SAL until his promotion. He’ll never be an impact hitter, but I think he can hit enough to be a starter and his defense is still very good. His ceiling is probably an above average starting SS. Matt feels the throwing issues will be corrected. He showed a surprising amount of (mostly doubles) power last year in Lakewood. He’s probably 3 years away, but if he repeats his Lakewood performance in Clearwater, he should be in our top 10 next year pretty comfortably. Ive been on Ortiz for last three spots…give me the potential of power hitting corner of over a set up guy like windle. I will vote with Grullon until he’s voted. I’m probably high on him than most since I value premium defensive positions (C, SS, CF) and physical projection. And at still 19 yo, there’s a lot projection left. Glove and Arm are considered to be plus potential. KuKo…I am also high on Grullon, but a little wary, due to past enthusiasm for one LA catcher that quite didn’t pan out…Sebastian Valle. So hoping that things do not turn out the same way. C prospects are really like diamonds in the rough since when you find one, it’s going to be valuable. So just like diamonds, having these C prospects with tools and a lot of projection holds value. I probably put this premium mostly for C prospects because they are hard to find. But I share your concern about the risk — for a time, Valle gave me something to get excited about. Phils had their Valle so hopefully, it will not repeat itself for any of the C prospects. I like Alfaro’s Power and Arm tool, but worried about his overall profile so I wouldn’t mind trading him because of his high value. I’m interested to know how the board view Imhof and Leibrandt – both lefty’s didn’t make Matt Winks Top 50. I’m a big fan of Lefty, Cole Hamels and Cliff Lee so I’m sucker to LHP especially the ones with great command and change up — I’m supposed to watch Yoel Mecias in pitch in LWD on July 5th but the Phils release Mecias on July 4th — so I was shocked when it first happened. I have both Imhof and Leibrandt ranked somewhere in the 30s. Reposting…since for some strange reason my post never made it. I’m interested to know the board’s take on Imhof and Leibrandt — both lefty’s did not made Matt Winks Top 50 (because of injuries). I’m a big fan of Lefty, Cole Hamels and Cliff Lee so I have biased with LHP especially the ones with great command and change up. I’m supposed to watch Yoel Mecias in LWD on July 5th, but the Phils released him the day before so it’s a shocker to me! I have both Imhof and Leibrandt somewhere in the 30s. I put Leibrandt 46 and Imhof 50 on my list. Obvously neither guy has the stuff of a Hamels or Lee. Imhof was especially disappointing because he hasn’t lived up to his draft profile; maybe that’s due to injuries but if he’s throwing in the high-80s rather than the low-90s, he’s not the guy the team drafted in the second round. I got Liebrandt at #30, as I believe there is a slight chance be can become a Major League starter as a “pitch ability” Lefthander. Imhoff’s Scouting report and results, seem to indicate LOOGY as a ceiling, so he didn’t make my top 30. I agree with you on Leibrandt. I just had too many guys I thought should be in front of him, between better performing players with similar upside (Richy), younger players that I think could break out (Falter, Luke Williams) and guys with higher floors (Asher). Honestly, I don’t know what to make of Imhof – but he hasn’t been very impressive thus far. As for Leibrandt, I was quite high on him, but then he had shoulder problems. Once a pitcher begins to have shoulder problems I sort of mentally write him off – it almost never ends well after that starts. So until I see that he’s fully recovered from the shoulder issues and can still throw in the low 90s, his prospect status is essentially suspended as far as I’m concerned. It’s a shame too – I think Leibrandt was an intriguing young player. Though shoulder ailments are a kiss of death for pitchers, some are able to make it back , but like you say …almost never ends well. However for Leibrandt, he really never was a 90s velo guy….more or less 86-88, maybe touching 90, maybe he can make it back. Imhof has some kind of issue’s, I know in college he had his weird delivery where it look like the ball came out from behind his ear. I read where the Phillies changed the Delivery . Even since then he had both velo issue’s and control issue’s. Leibrandt needs to stay healthy he has nice control and 1 of the best CU going. I was just reading the list I missed Jake Thompson. Not sure how he would of missed the list but idk. Did anyone else read the list? one thing that jumped out at me was the Braves Austin Riley- didnt see him in any top 100’s pre-draft. teams werent sure he was a 3B or P, Braves pick him at #41 and go a little over slot to sign him, he puts up real good numbers in 60 rookie league games and all of a sudden he’s #44 in MLB? I voted for Tirado here and it looks like I’m one of few. I’ve been trying to distinguish between the solid starting pitching prospects we have in this range – Eshelman, Pivetta, Lively, Tirado, Arano, and others as well. I keep going back to Tirado’s raw stuff that I admit I’ve seen only on video in these and other places – https://twitter.com/benbadler/status/627224779225976836 – http://philliesminorthoughts.com/2016-top-50-phillies-prospects-21-30/. The guy can get his fastball up to 98 or 99, his slider can cut violently and at the very end of its trajectory, and he can absolutely freeze people on occasion with his changeup. He just turned 21 in December. I think Canelo is a deserving pick here too, but of the remaining guys, I think Tirado’s ceiling, especially with another try as a starter, makes him the best prospect left on the board. Outside of Ortiz or maybe Pivetta, Tirado has the most upside left. I think he’s a better prospect than Cordero. What is the argument for Cordero over Tirado? Could Cordero be a SP? Because Tirado could. Same floor, different ceiling. The argument is that Tirado’s control is so erratic that he has very little chance to stick in the rotation, and as relievers their ceilings aren’t so different. Cordero seemed to improve his control last year and he’s closer to ML ready. That said, I’ve got no problem with anyone ranking Tirado higher. Actually, now that his return to the rotation has been confirmed, I’ll probably place him higher myself. There is no good argument for Cordero over Tirado, other than him being older and at a higher level. People think Cordero can be Giles because he throws 100, not really considering that Giles has, and has always had two ‘plus-plus’ pitches. Cordero is a one pitch pitcher, with control problems. Tirado has serious control problems, but has two potential plus-plus pitches. That makes a big difference. I don’t think it’s true to say Giles always had two plus-plus pitches. At the lower levels he was pretty much just a guy with a 100 mph fastball and control issues. The slider came more or less out of nowhere, and that was the difference between him being an interesting name in the minor league boxscores and an elite level closer. Just goes to show how thin the margin is for these relief prospects.